2018 has been a very busy year, with more partnerships being formed and our Khayelitsha branch was started. year, creating opportunity and providing support for the children of Langa. numbers and created a safe environment in Site C, Khayelitsha. We look forward to growing the VUSA programme in this community. which we already reaping benefits. Stadium every Monday and Wednesday at 15:30 to 17:30pm. A really good relationship is being built. influence that rugby can have on themselves, their friends and their community. Rugby: Our league fixtures are exciting as they offer us the opportunity to test ourselves against some of the bigger schools, SACS, WBJS, WPPS and Bishops whilst retaining our relationship with other community clubs Primrose, Hamiltons RFC and Collegians RFC. We have started the rugby season off with restricted field space in Langa due to the drought. This has seen coaches being inventive and proactive using the parking lot and various small patches of grass! 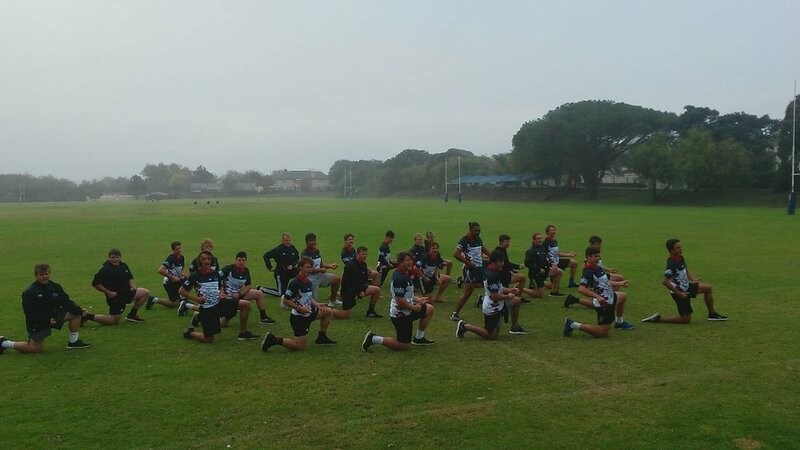 We have been most fortunate to have had coaching clinics run by UCT in launching our partnership, The Hutt International School from New Zealand hosted a brilliant coaching session and we have already had fixtures against touring teams from Australia and the UK. 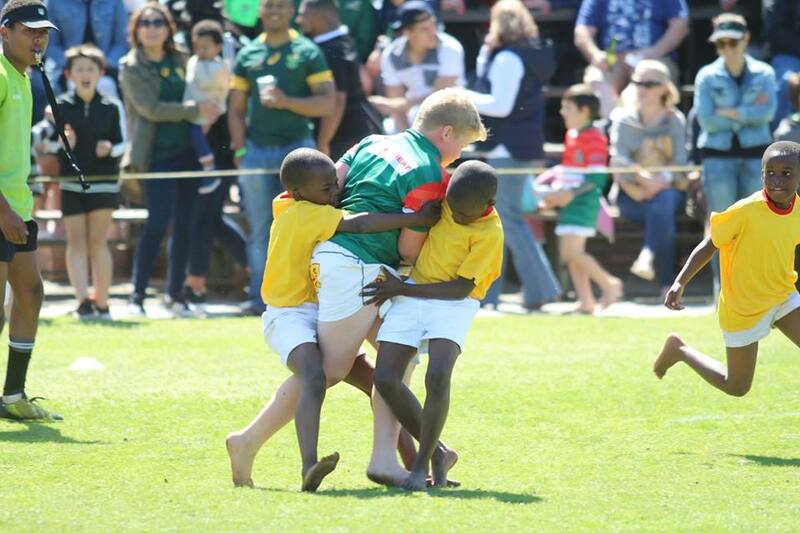 This highlighted the power of sport and the shared passion we have for rugby. Donations of balls and equipment from the various visitors was most appreciated. An exciting addition to our playing ranks this year has been 3 young girls. They have added a new dimension to the program and have certainly shown their mettle in the games thus far. On two occasions this year, VUSA players have had the opportunity of a an outing to Newlands to watch the Stormers. This has created much excitement and is a great opportunity for our youngsters. Academics: Our partnership with Edunova has seen meaningful developments in the academic realm this quarter. It has alleviated the need for transport of pupils to Bishops from Langa and extended the programme to U10s. Basic English and Maths skills are taught in classrooms at the Leap School alongside the Langa stadium, and these skills are reinforced through the use of technology under the guidance of Edunova facilitators. Boys enjoy the classes, and especially enjoy the immediate feedback available to them when working on a laptop. Melanie Handley continues to willingly give of her time to look after the older pupils, while 2018 has seen the welcome addition of Lusenathi Ham, a qualified teacher who hails from Langa, to the academic side of the programme. He will become known on the side of the rugby field too. We have an exciting year ahead and look forward to further creating an inclusive future for all our children. What does it mean to be an Ikey Tiger? It’s a question we often ask ourselves in the changing room after a slow practice or before an important game, as it tends to evoke that powerful aspirational sense of fearlessness and pride that can only come from being part of something much bigger than oneself. Naturally, there are a number of superlatives that come to mind when looking to encompass the essence and spirit of the special breed of men whose blood runs white and blue. Handsome, charming, witty all came into the fray, of course, as we debated this question at the beginning of the season. 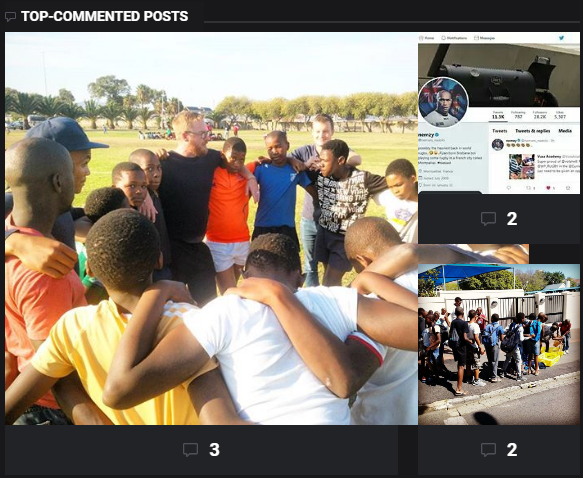 One value, however, that we identified as being especially proud of as a Club in 2018 is the sense of shared responsibility amongst our players to spread the game of rugby and the lessons it brings to all corners of the Western Cape. 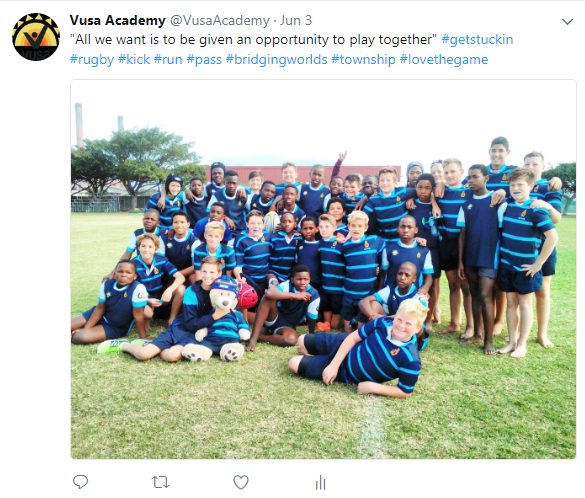 It is in this endeavour that the Club has recently partnered with the VUSA Rugby Academy to launch the VUSA-Ikeys Rugby Programme for young up and coming rugby players in the Langa community. 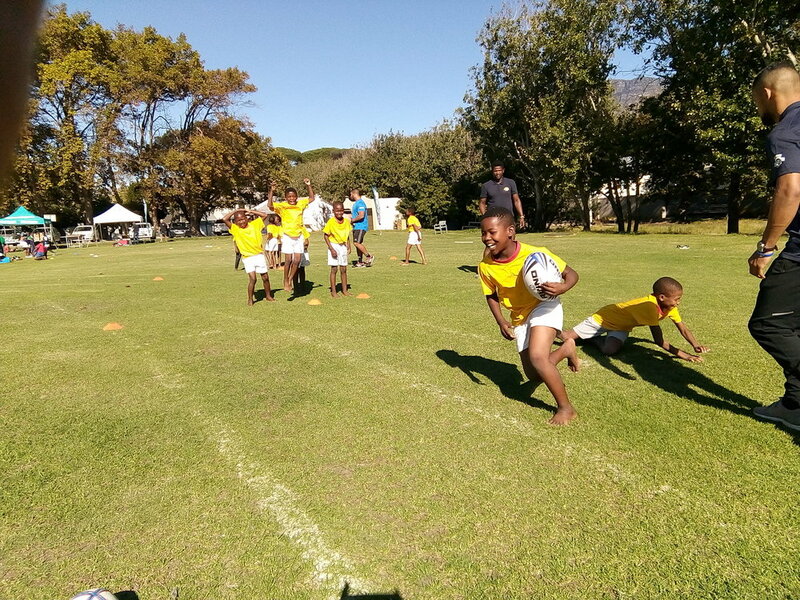 Meaning “to wake up” or “lift up spiritually” in isiXhosa, VUSA offers a structured program designed to restore dignity, build self-esteem, and develop the rugby and academic skills of disadvantaged children across the Western Cape. Spearheading the initiative with the VUSA team is Ikey Old boy, Keagan Timm who has been integral in building a stronger sense of social responsibility within the Club. 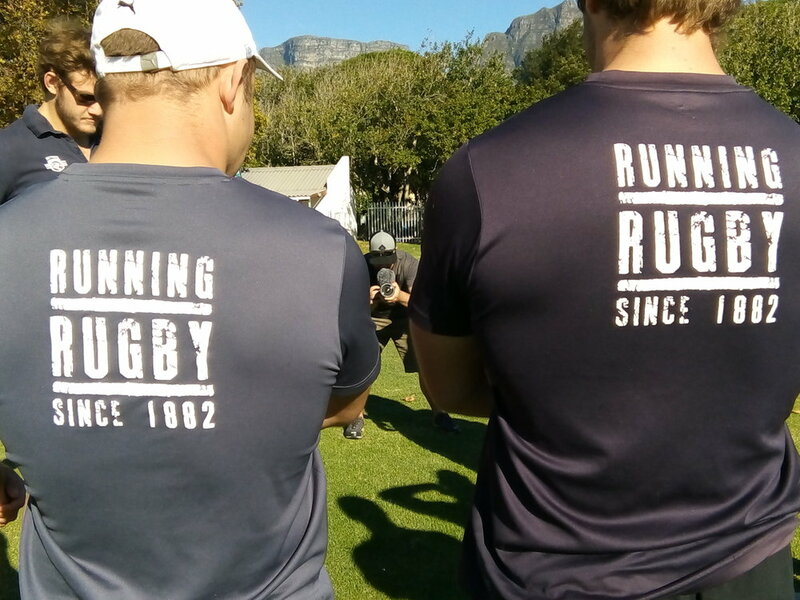 The Ikeys-VUSA partnership officially launched on Saturday 17 March 2018 with an introductory coaching clinic, hosted at the Lutgensvale Sports Fields in Rondebosch. 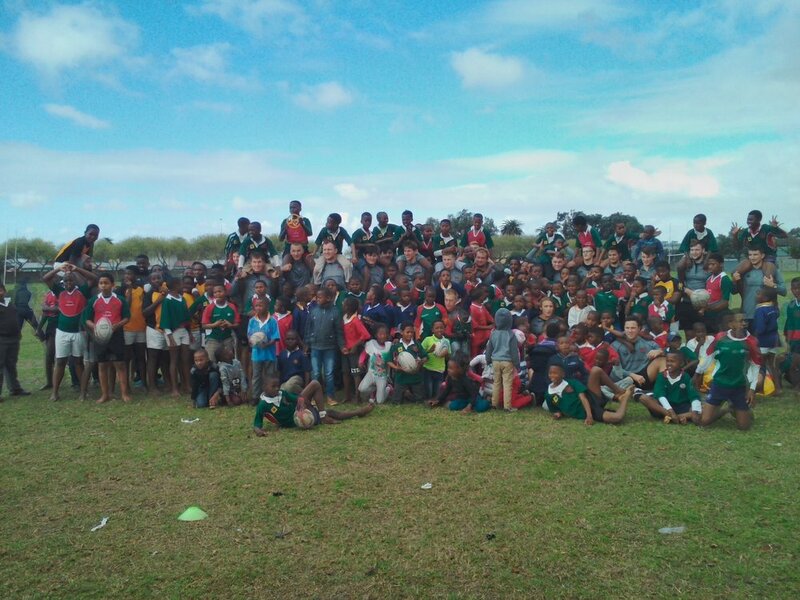 A group of Ikey players joined the VUSA coaching team to run introductory passing, catching, safe tackling, rucking and securing, and running drills with over 200 learners from the Langa community. Passionate Ikey Tiger and inspiring role model, Khwezi Phuza also shared a short story about his journey and his experience of playing rugby at UCT, inspiring learners to consider the positive influence that rugby can have on themselves, their friends and their community. As a Club, our philosophy has always been to not only nurture great rugby players, but more importantly to nurture great human beings. It is as we see partnerships such as this one, born as an initiative led by the players themselves, that we are reassured of the Club’s vision and direction, and feel pride in the values that it upholds. We take our hats off to the VUSA management team, coaching team and staff for the inspirational work that they are doing in the Langa community. 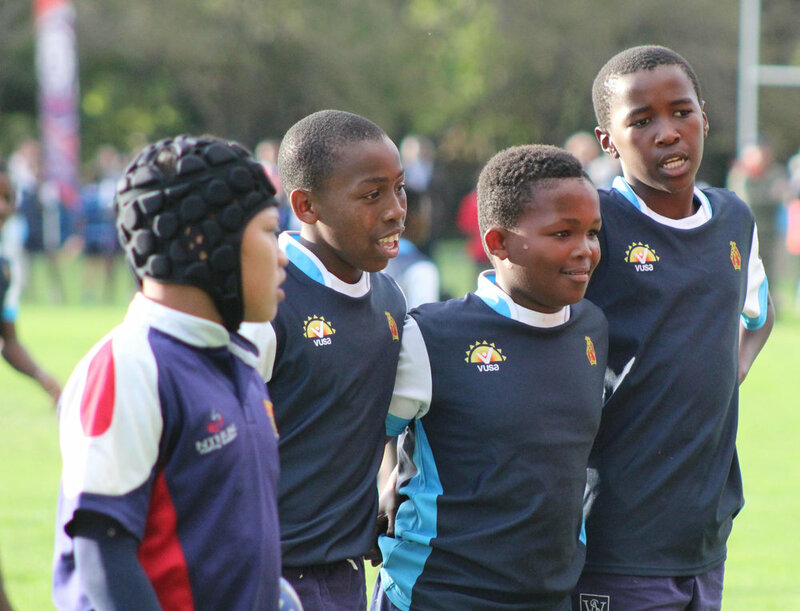 The Ikey Tigers are incredibly proud to be a support partner of this incredible initiative. The 2017 season has by far been the best for our development programme. We have gained much exposure to the public and the number of boys has increased enormously. 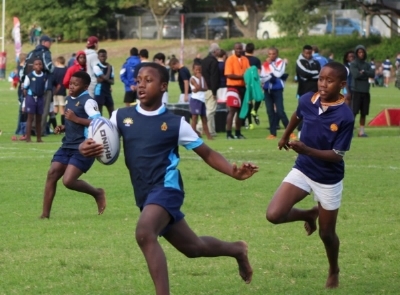 We are very proud to have teamed up with Busy Bee Rugby Football Club, which has enabled us to play our rugby fixtures in the Western Province League. We played away games against Rondebosch Prep. and hosted Bishops Prep. in what will surely become two memorable events in the history of our programme. Mak Kahla - Head of U13. Parent involvement - or lack thereof - has been a struggle in the lives of talented, black children for decades. Parent involvement plays a huge role children’s lives. Poor communication processes between schools, parents and children hamper development in all aspects of life. However, we should give credit to the parents who do communicate and are happy for their children to be part of this programme. We look forward to further developing this aspect of the programme. One of our top athletes took up a bursary for Grade 9 at SACS High School. We have reached our target of fielding two teams per age group. We have joined the Western Province League. We have won 70% of our games. Our programme has become a safe, caring home away from home for many children. We introduced PE into our program to improve the health of children and develop this area of life-skill. We focused on different ball skills, dynamic movements and body awareness. There was some success in this part of the programme and we will implement it more consistently and formally next year. Our ongoing partnership with Connect Sports Academy meant boys enrolled with the Connect Academy were able to train, play matches and be part of the academic programme on a weekly basis. Connect provided VUSA with expertise in the form of coaching staff, and made a significant contribution in terms of player numbers and skill, which saw our U13 team being able to compete with (and often win against) the best junior teams in the league. We hope to continue with this symbiotic relationship well into the future, and we thank Connect Academy for their support and vision during 2017. The grade 6 and 7 boys have been attending English and Mathematics lessons at Bishops during the year. In the lead-up to their exams they have had the opportunity to prepare by going through old papers, and we predict that this will be helpful in terms of their year-end results. Generally the boys tend to be stronger in terms of their level of English than they are in the Maths classroom. Basic skills in Maths is an area on which we look to focus going forward. Boys have been enthusiastic and conscientious and we have managed, through excellent teaching contributions of Melanie Handley and Siya Zwelendaba to keep class size down to a maximum of 15 boys. Individual attention is often required and small classes has allowed us to achieve this. An exciting development for 2018 is that we gain the expertise and use of the Edunova facility which operates from the LEAP School alongside Langa stadium. This will enable us to add an Information and Communication Technology element to the classes, which will include Maths, English and extend to Science. Each boy from Grade 4 to 7 will have the opportunity to attend classes where extension and consolidation of school subjects will occur. Further extension in ICT will take place on Fridays for a selection of boys. Grade 3s will also be attend introductory lessons as they begin the programme. The academic element of the programme is undergoing considerable growth as it will be able to accommodate 180 boys in an extended syllabus in 2018. We are certainly excited about the developments. 2017 was another successful year for the VUSA Crèche program in Langa. It started with VUSA adopting two new crèches and incorporating them into the program - Gege’s Crèche and Nomonde Crèche. Our goals were to target physical education as an element of the young children’s life-skills. All the activities were well planned and structured. This was due to the coaches attending a coaching course earlier this year and the new knowledge being implemented in the coaching plan. Besides the activities being educational and structured, the children enjoyed every single moment they had with the coaches. The faces that light up when the children see the coaches walk into the grounds is priceless. 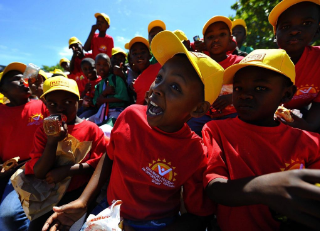 The VUSA crèche program has helped dozens of people including the staff who look after the children. The 60 minutes that the children are with the VUSA coaches gives the staff time to prepare for upcoming activities in the class. The coaches have received much gratitude from the parents and even from tourists who walk past Dalukhanyo Crèche grounds from where we have operated for the past two years. Due to our highly shareable content, great partnerships with sponsors and other academies and successful introduction of video content we are looking to continue to improve on our 252 Facebook followers (Accumulative reach: 19 075) and over 429 unique visitors to the VUSA website. Mak Kahla appeared on the Supersport Rugby Show Phaka where he was part of a panel which discussed the role of VUSA and other development programmes in the development of South African Rugby. It was a proud moment for VUSA! We extend our sincere gratitude and thanks to our sponsors and partners who are vital to our operational functioning as VUSA. Our founding sponsors CALULO and sponsor Investec Asset Management ensure that all operational costs are covered. This includes transport, kit, equipment, outings and coaches salaries. Our partners Shoprite and The Lunchbox Fund take care of all boys’ meal requirements. Much appreciated meals are given to all participants daily. 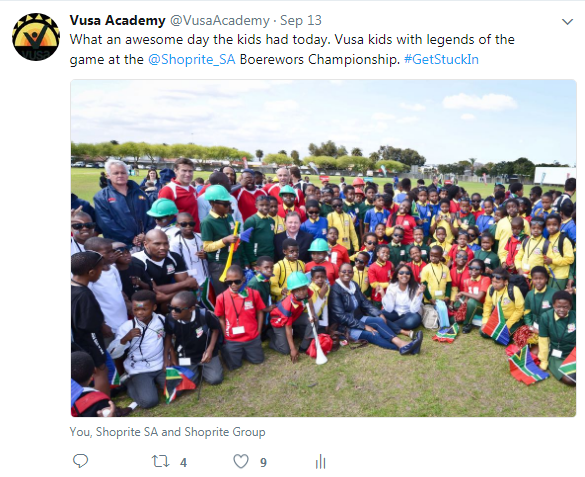 Shoprite hosted their annual boerewors championship winners event at the Langa stadium this year as part of their partnership with VUSA. This was a wonderful day with our VUSA boys mixing with past and present rugby stars. The undoubted hero of the day was Bakkies Botha, his off field persona a far cry from the hard man on the pitch! The day was a powerful reminder of what can be achieved when big corporates get involved in community projects. The winning boerewors proved to be a winner as the VUSA boys gobbled down meters of the delicious wors. 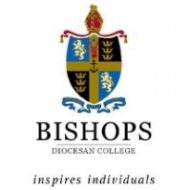 Bishops offers facilities, expertise and serves all administrative functions. The model we have created allows all stakeholders to play a key part in bringing the VUSA programme to all participants. We would like to take the opportunity to thank all for the vital role their companies and organisations played during the 2017 year. We look forward to growing and expanding our partnership going forward into 2018. We wish all a happy festive season and look forward to the successes of 2018. SA's Championship Boerewors champion was crowned in Langa. With the full season of rugby nearly over for the VUSA boys we have picked some images that have depicted what the 2017 rugby season has meant to the boys. We would like to thank all those involved from the coaches, kids, support staff, sponsors and the parents who braved the mornings to watch their youngsters perform on the rugby pitch. Now we get ready for our year end 7's tournament on Saturday the 16th of September at the Langa Stadium. Follow our Social pages to be kept informed of the teams taking part and the times of the matches. Tall and lanky 14 year old Siviwe Kewana, affectionately known to his peers as “Mzekezeke”, maybe he resembles the frame of the famous kwaito star became the next graduate from Vusa Rugby and Learning Academy to receive a scholarship to attend the oldest school in South Africa, SACS. Siviwe hails from kwaLanga township, which is fast becoming a sporting mecca and the oldest township in the land. Current SACS 1st XV Captain and an idol to Siviwe, Vusile Lucky Dlepu, hails from there along with other sportsmen who have national colours or played 1st class in their respective sports. The likes of Temba Bavuma, Thami Tsolekile, Nono Pongolo to name a few. Siviwe follows a long line of Langa sportmen who have have had a chance to be fortunate to attend a prestigious school such as SACS and hope that he will make his family proud and grab every single opportunity that comes his way. Siviwe will have his first taste of competitive schoolboy rugby as his new school travel to Paarl to face the formidable foe Paarl Boys High who boast an impressive record. He will be playing the under 14 division and he will get first hand experience of what it is like to face big burly dutch boys who show no mercy when it comes to intimidating the opponent at a game of rugby. He will have to be smart and be fit, something he assured me he has worked hard on during the winter school holidays with the guys at Connect Sports Academy. 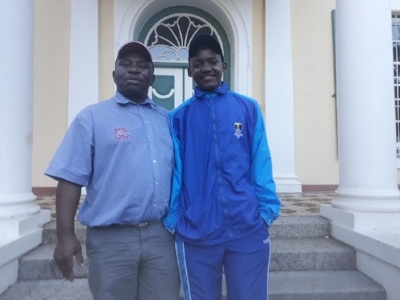 Siviwe moved into the iconic Michaelis House on Sunday and he felt right at home because he met up with a mate, Songezo Kuze, while on a brief school tour last term, another up and coming Langa cricketer and the two hit it off and this made Siviwe feel more at ease. We wish Siviwe Kewana all the best in his new adventure and urge him to enjoy himself, work hard in his sport and studies, make loads of friends and know that he has the support of the whole of the Langa community, the Vusa Rugby and Learning Academy and myself – SACS 1997 Matric, School and Hostel Prefect, played two years 1st XV Rugby, Captain of Rosedale's interhouse 7s 97 winers, Wicket Keeper 2nd XI, 2nd team Squash, Chairman – African Ethos Club, took part in school plays. 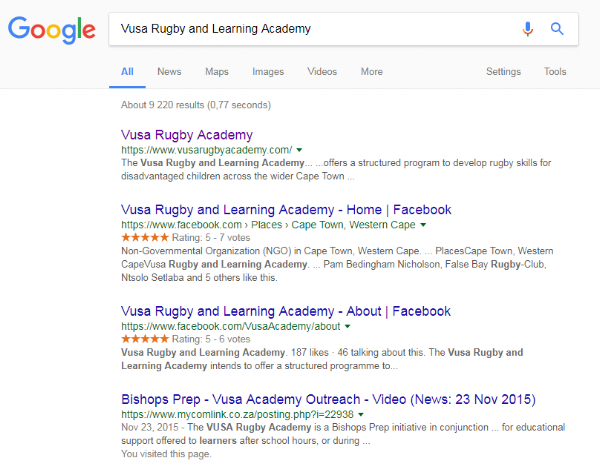 VUSA is a programme initiated and run by Bishops (Diocesan College) that seeks to uplift underpriviledged children in the Langa Community by offering rugby coaching and extra English and Mathematics tuition.